After the European Commission, the Baltic states and Poland signed a political agreement on the synchronization of the Baltic power systems with mainland Europe in June, the Baltic synchronization project is being implemented according to the plan, with the financing application due to be filed in the fall, Lithuania's minister of energy has said LETA/BNS. Minister of Energy Zygimantas Vaiciunas confirmed during a meeting with members of the European Commission on Thursday that the four countries were ready to submit the funding application in time -- by Oct. 11. "We are working hard with Latvia and Estonia to submit the applications in early October. It will be the first time when applications will be submitted for financing, not studies, o research, but for specific projects. These projects are being coordinated at the technical level now," Vaiciunas told. "I was once again assured that the Commission is ready to fund these projects, and I confirmed that we, together with the other Baltic states, are ready to submit applications in time, by Oct. 11," the minister said. In his words, the synchronization project's technical details should be known in late summer. The existing 1,000-megawatt double-circuit, alternating current LitPol link will be used for the implementation of the project, as well as a new 700MW direct current asynchronous power link laid on the bottom of the Baltic Sea between Lithuania and Poland. 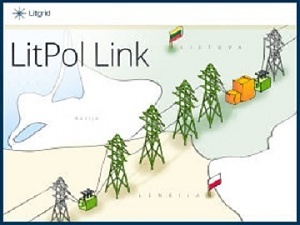 The technical solutions must be detailed by Aug. 30 and soon afterwards they will be endorsed by the Baltic Energy Market Interconnection Plan (BEMIP) high-level group. Poland and the Baltic states will submit an application to the ENTSO-E, the European Network of Transmission System Operators, by Aug. 21, and a joint CEF (Connecting Europe Facility) application will be submitted by Oct. 11. The European Commission is expected to make its decision by February 2019. ENTSO-E is expected to issue the synchronization conditions in 2019, and the four countries will implement them in 2020-2025. The Baltic states are expected to synchronize their power systems with continental Europe in 2025. The project is estimated to cost approximately 1 bln euros.